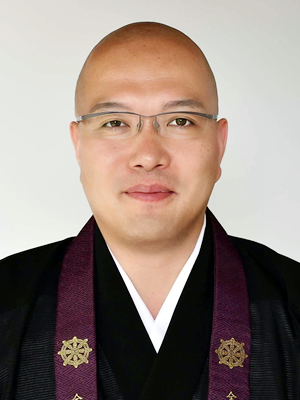 I am Ryugyo KURASHIMA, the 21st president of the All Japan Young Buddhist Association. During the term as the president, I will be keen on the activity of young Buddhist priests across the regions and the Buddhist denominations under the teaching of Buddha. Here I am going to tell you about this term’s policy of JYBA. JYBA consists of 13 Japanese Buddhist youth organizations. Founded in 1977, JYBA has been active both nationally and regionally working across denominations. In global scope, JYBA is proud to be the sole regional center of the World Fellowship of Buddhist Youth (WFBY) in Japan. It is our mission to contribute to the propagation of Buddhism and world peace by working closely within the fellowship of Japanese Buddhist youth. In November 2018, we will take part in “the 29th WFB (World Fellowship of Buddhists) conference” and “the 20th WFBY (World Fellowship of Buddhist Youth) conference Japan” held by WFB and WFBY at Marroad International Hotel in Chiba (November 6-8) and Sōji-ji temple, a head temple of the Sōtō school of Zen Buddhism (November 9). Taking advantage of this opportunity, JYBA will all stand together and share the goal, which is to introduce Japanese Buddhism to the world by making use of distinctive features of each denomination. Taking over past efforts, we establish “Compassion in Actions” as the slogan of the 21st JBYE. The Great East Japan Earthquake on March 11, 2011, was a big turning-point for thousands of Japanese people including us. The unprecedented earthquake and massive tsunami posed a more fundamental question as to how we should live, what is happiness with reflecting on the supremacy of economy. At that time, many Buddhist temples had been used as shelters for the sufferers, many young Buddhist priests had rushed to help from all over the country. Engaging in debris disposal, decontamination work and listening to the sufferers’ voices, we asked ourselves what we can do as a priest over and over. Then we could learn the meaning of 上求菩提 下化衆生 (the aspiration for Buddhahood and the relief of all living beings) in Mahāyāna first-hand, through shared suffering with such victims. We, therefore, value listening attentively to unheard voices in contemporary society to implement our mission “Compassion in Actions”. “Transforming our world: the 2030 Agenda for Sustainable Development” that was adopted by the United Nations General Assembly in 2015, sets 17 Global Goals for the eradication of poverty and realizing a sustainable society until 2030. We believe JYBA can contribute to resolve such global issues with other Buddhist traditions and religions. Although each work in temples would be too forceless to change the whole world, I am sure that we can accomplish a major goal by a series of smallest things brought together. Welcome to our website! The All Japan Young Buddhist Association (JYBA) consists of 13 Japanese Buddhist youth organizations. Founded in 1977, JYBA has been active both nationally and regionally, working across denominations. In the global scope, JYBA is proud to be the sole regional center of the World Fellowship of Buddhist Youth (WFBY) in Japan. It is our mission to contribute to the propagation of Buddhism and world peace by working closely within the fellowship of Japanese Buddhist youth, organizing and implementing Buddhist youth activities that are timely and relevant for the world today, and cultivating global Buddhist exchange with the harmonious spirit of Buddhism. Nearing 40 years since its inception, JYBA has a long history. "An Annual Ceremony of One Thousand Priests for the Celebration of Buddha’s Birth and Propagation of the Dharma" is our biggest event and has been held every year at Todai-ji Temple in Nara. Other activities include publishing the JYBA newsletter, providing humanitarian relief for the Great East Japan Earthquake, and participating in the International Buddhist Youth Exchange (IBYE). Over the centuries, Mahayana Buddhism in Japan has gone through unique transformation. Many sangha were initially formed based on the master Japanese Buddhists’ interpretations of the Dharma, and those sangha evolved into different denominations. In this way, Japanese Buddhism demonstrated rich diversity in doctrine as well as in practice. Buddhist temples in Japan firmly take a role in festivals and memorial ceremonies for the ancestral spirits. Centuries passed, secularization had spread in postmodern Japan as a global trend. The post-World War II era saw the elimination of religions in public platform, due to the principle of separation of government and religion. In recent years, the presence of religion in society and in people’s lives has become sparse. As we see the decline of Japanese economy, more people question the idea of holding grand funerals and also lean toward the simplification of traditional customs. Buddhist organizations in Japan hardly take this situation optimistically. It seems that we are at a crucial stage in terms of Buddhist roles in society today. Meanwhile, there is good news. After the Great East Japan Earthquake in 2011, various new actions have been taken by many Buddhist organizations and temples within their own ability and assets. For example, they started cafés in the affected areas, visited the people to give support and listen, and provided them warm food. These are just a few examples. In these actions you may witness a brighter future for the Japanese Buddhist community. As we look ahead to the future and learn from the past, JYBA will continue to progress further with the theme "Compassion in Practice" for the next 2 years. We believe that this theme is exactly the aspect of Buddhist spirit which we should be able to convey to the world. In order to do so, we have three missions. The first one is "Share Information". Compared to Buddhism of some other countries, Japanese Buddhism may not be as well-known. We are going to update our website in Japanese and English with news and contents from the JYBA affiliated organizations about their Buddhist youth activities, as well as their doctrines and practices. The second is "Organize and Promote Workshops / Seminars". We are going to promote socially engaged activities in the areas of mental care, suicide issues, disaster prevention, poverty issues, social disparities, promotion of peace, etc. We will organize our own workshops, seminars, and volunteer works, so that our members will motivate and improve themselves as Buddhists who disseminate the Dharma and participate in social activities. The third is "the JYBA 40th Anniversary Projects". To commemorate our 40th anniversary in 2017, we will implement the JYBA Anniversary Ceremony, the JYBA General Conference (to be held in the 2011 earthquake affected region), International Buddhist Youth Exchange, and the 6th Year Anniversary Ceremony of the Great East Japan Earthquake. In the process of these missions, we will look back and learn from the legacy of JYBA, and share it with Buddhists friends in the world. We will also pray for the victims of the Great East Japan Earthquake. We will pray for the recovery of the people and the communities. When we look at the world today, there are people striving with hope. On the contrary, there also are people unable to see a bright future. The compassion of Buddha exists for everyone no matter who they are. Our goal is to help build a world in which this compassion is realized and felt. With the theme "Compassion in Practice", we, as a world Buddhist community, shall build hope together for people living today. Thank you so much for visiting our website and for your interest in JYBA. Let us all explore "Compassion in Practice" together. Copyright © 1977-2019 JYBA・全日本仏教青年会 All Rights Reserved.